Formula: Propionate of Testosterone 25mg Enathate of Testosterone188mg Cypionate of Testosterone 187mg Vehicle c.b.p. 1ml. Indications: To promote the development of the masculine genital and to develop the genesic desire in males and stimulant of the muscular development. 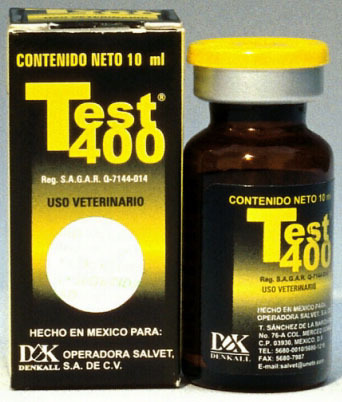 Dosage: In dogs with a superior weight at 15/kg 1ml and in dogs and cats with weight inferior at 15/kg 5ml,the dose can repeat every 4-6 weeks. 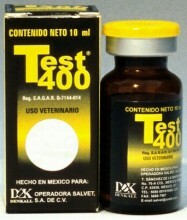 Click the button below to add the Denkall Test 400 Mexico (Testosterone Blend) 400mg/ml-10ml x 1 Vial to your wish list.